The Emirates Group today announced its half-year results for 2017-18. The Group saw steady revenue growth and a rebound on profitability compared to the same period last year, in spite of the continuing downward pressure on margins, a rise in oil prices, and other challenges for the airline and travel industry. 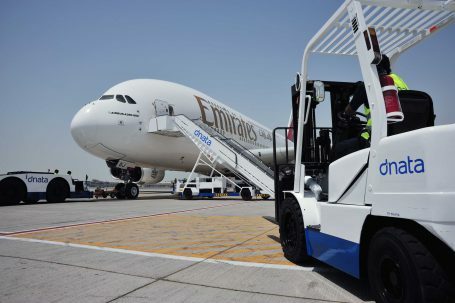 The Emirates Group revenue was AED 49.4 billion (US$ 13.5 billion) for the first six months of its 2017-18 financial year, up 6% from AED 46.5 billion (US$ 12.7 billion) during the same period last year. Profitability rebounded after a low during the same period last year, with the Group reporting a 2017-18 half-year net profit of AED 2.3 billion (US$ 631 million), up 77%. This result was driven by capacity optimisation and efficiency initiatives across the company, steady business growth, and a more favourable foreign exchange situation compared to the same period last year. The Group’s cash position on 30th September 2017 was at AED 18.9 billion (US$ 5.2 billion), compared to AED 19.1 billion (US$ 5.2 billion) as at 31st March 2017. His Highness (HH) Sheikh Ahmed bin Saeed Al Maktoum, Chairman and Chief Executive, Emirates Airline and Group said: “A lot of the credit for our 2017-18 half-year results goes to our talented workforce who have worked hard to improve our business performance, and address our challenges without compromising on quality and service. “Our margins continue to face strong downward pressure from increased competition, oil prices have risen, and we still face weak economic and uncertain political realities in many parts of the world. Yet, the Group has improved revenue and profit performance. This speaks to the resilience of our business model, and the agility of our people.